Some times the essence of a good visual work is its simplicity. 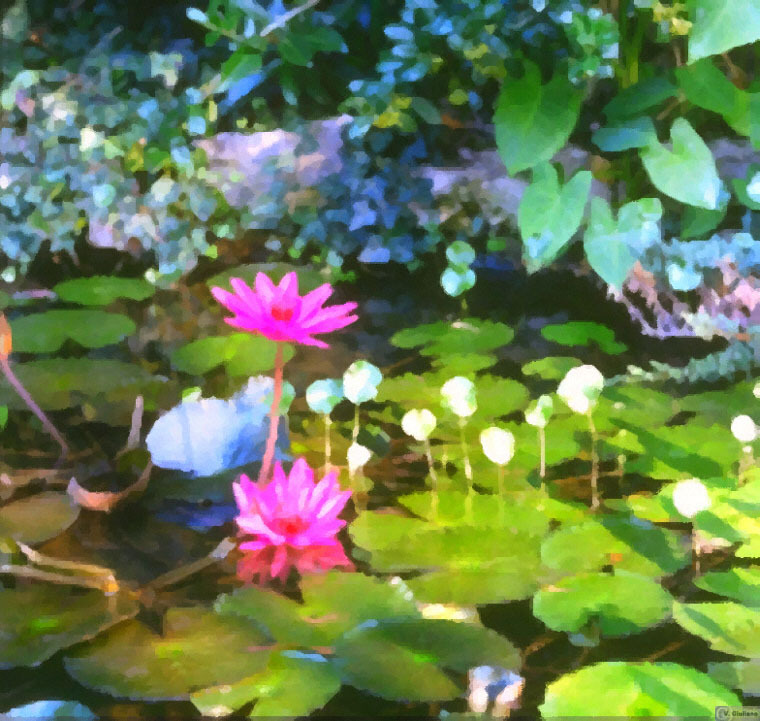 In this case, I worked with a snapshot of a tiny corner of my favorite local pond. I removed details and increased the color range and depth to produce this painting-like image. While simpler and quite different than the original image, it evokes warm memories of the original scene. Knowing when to work towards complexity or work towards simplicity is is an important choice in my work.